We invite you to highlight your innovative solutions and market alongside IDA’s events, research, webinars and communication channels as we inspire healthy, resilient city centers across the globe. Review the 2019 Marketing Opportunities by clicking here. Review the 2019 Association Sponsor & Exhibitor Terms and Conditions here. Grow your business with exposure to thousands of district leaders and network face-to-face with more than 800 attendees. Connect with city leaders interested in your products and services. Plan to join IDA in the fall of 2019. Contact Tracie for more information about the 2019 tradeshow. Want to be in front of district leaders on a daily or weekly basis? Place an ad and gain exposure to buyers. Review the 2019 Media Kit to explore IDA’s advertising options. Questions? Connect with Tracie Clemmer to learn more at tracie@downtown.org. 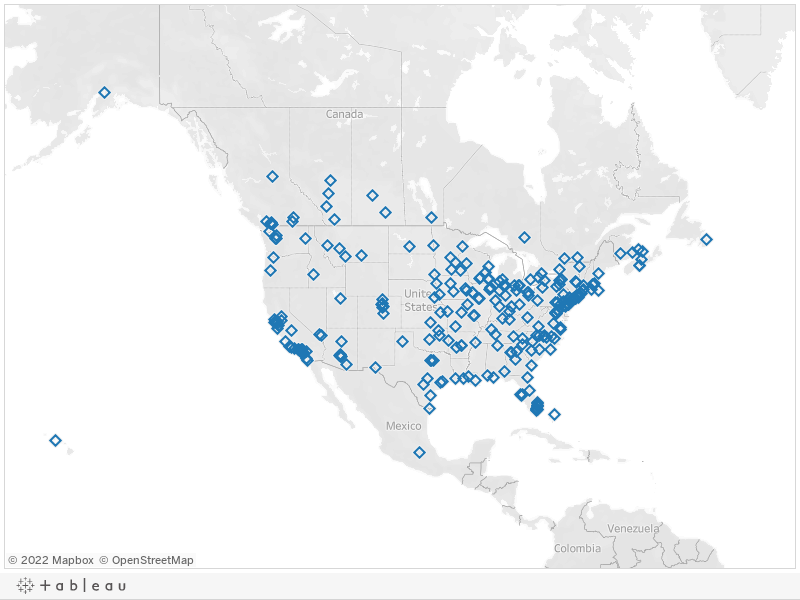 Where are IDA's North American members located? Your company can benefit from marketing alongside IDA research, webinars, events and more. "IDA provides tremendous value to its sponsors. Our firm has been a supporter of IDA for years, and this relationship has translated into returns that are much greater than our investments — both in bottom-line business terms as well as professional and personal development. The staff is very responsive and will work with you to figure out what best suits your needs and positions you for true, lasting success in the world of downtowns." – Chris Beynon, AICP, Principal, MIG, Inc.